DAUSA President Dr. Anita-Cal Jackson, has been chosen among many participants as the Reyna Elena I in Danao’s first Santa Cruzan Celebration held in September. The Santa Cruzan was held at the Danao City Parish Church starting with a concelebrated mass and a long procession along the city’s regular procession route with all participants wearing very elaborate and expensive gowns. Anita was escorted by Dr. Julian Banzon, another Danawanon residing in Chicago, Illinois. Some of the participants include Rose Canga, Tita Meca, Jesusa Arsenal along with some balikbayans including Elsa Banzon (Sacramento), Kay Durano (San Jose), Georgina Villareal (San Francisco), Naomi Seigrist (Switzerland) and many others. (I will insert the names of others as soon as I get the list). It’s another Luau this Saturday and everyone will have that Hawaiian look at the 14th DAUSA Anniversary and annual fiesta celebration honoring Danao City’s patron saint, Santo Tomas de Villanueva. 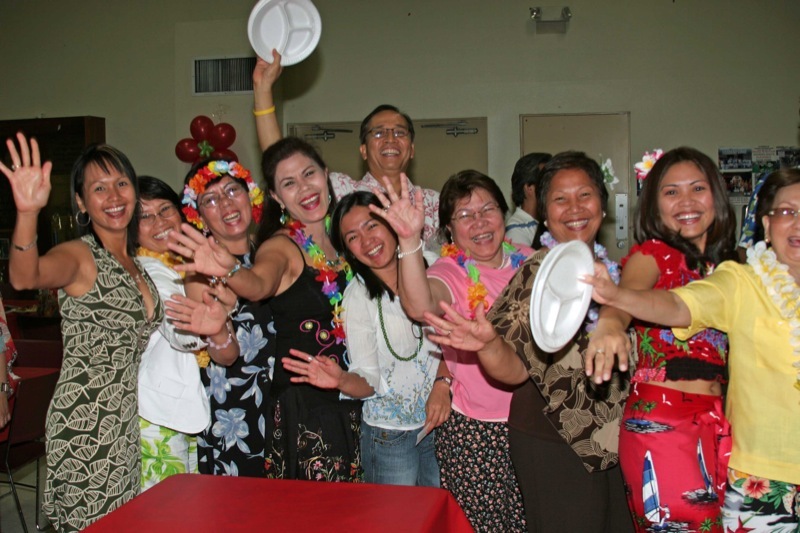 According to DAUSA President Dr. Anita Cal-Jackson donation to the Luau Dinner-Dance is only $25.00, per person which will go to the DAUSA Medical Mission scheduled on September 18 – 20 at the Danao General Hospital, Danao City, Philippines. “We expect around 250 Danawanons at the our patron saint’s fiesta celebration, some coming from out-of-state and visiting Dananawons”, Anita said.